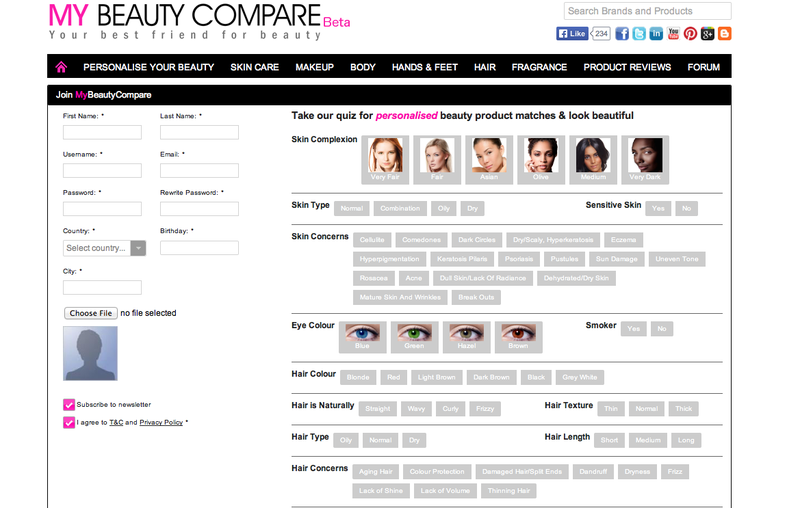 I was recently approached by mybeautycompare.com to share with you girls their website and after a full search I'm actually really excited to share it with you! 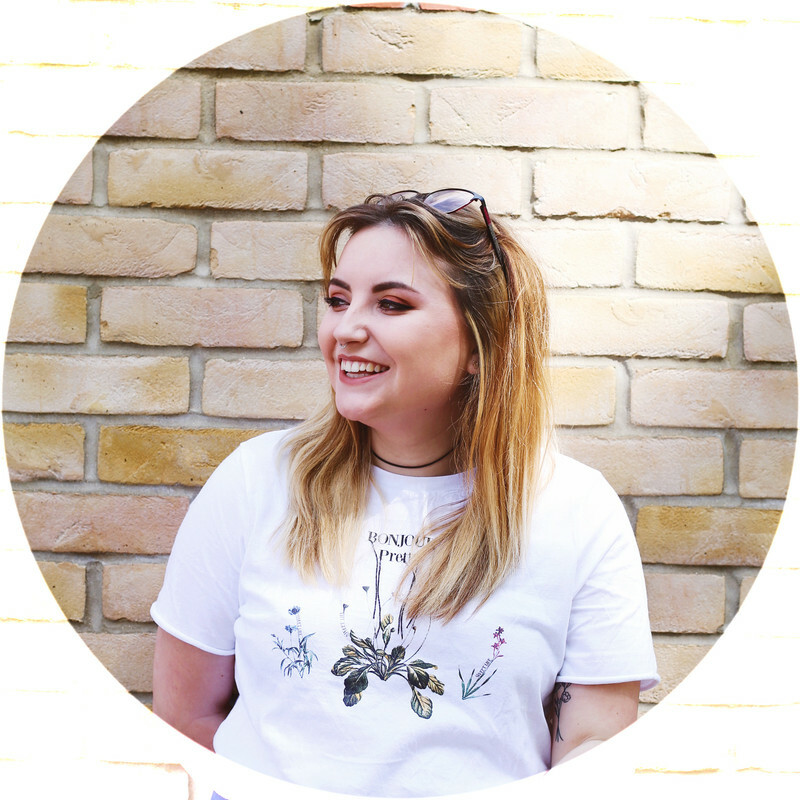 At first I was a little confused and wasn't sure what to expect when I first looked at the site, but it's pretty simple...it's a comparison site for all beauty products and for someone who isn't clued up on the best prices and products (like me) this site is pretty perfect! When you sign up, you're asked to answer a few basic questions which include skin colour, type, hair colour & type, and a few health questions; smoke or drink etc. It takes your answers and from there creates a profile and remembers those things for when you look on the site. On the site you can find skin care, make-up, body care, hair and fragrance products and others, personally I need help knowing which is when when it comes to these products. 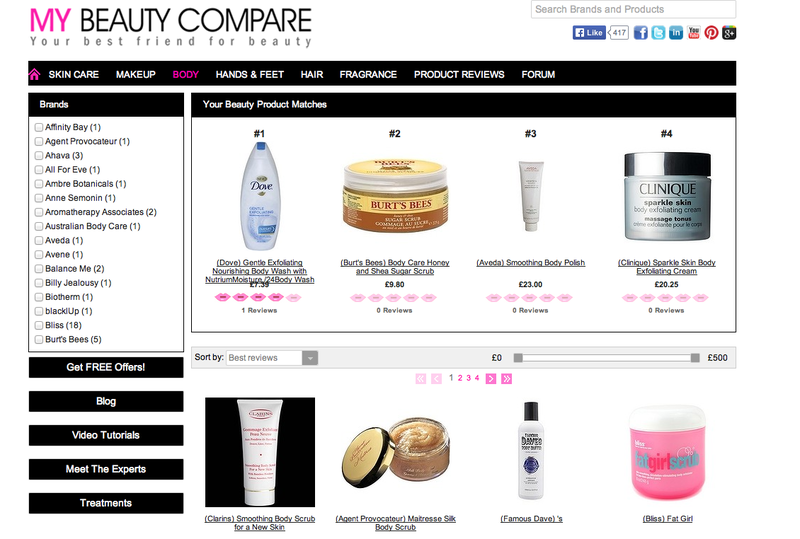 Now it has this information 'Beauty Compare' finds the top 4 products that match you and also chooses a range of brands and prices; so you can see the price difference between 'high street' and 'high end' items. I can't wait to purchase the best items for myself and couldn't pass the opportunity to share this with you, I think specially for beginners or clueless one (again, like me) would benefit from the help this site gives.